“A beautiful flower form on a calendula, with creamy petals that have a red buff colour on the reverse side. 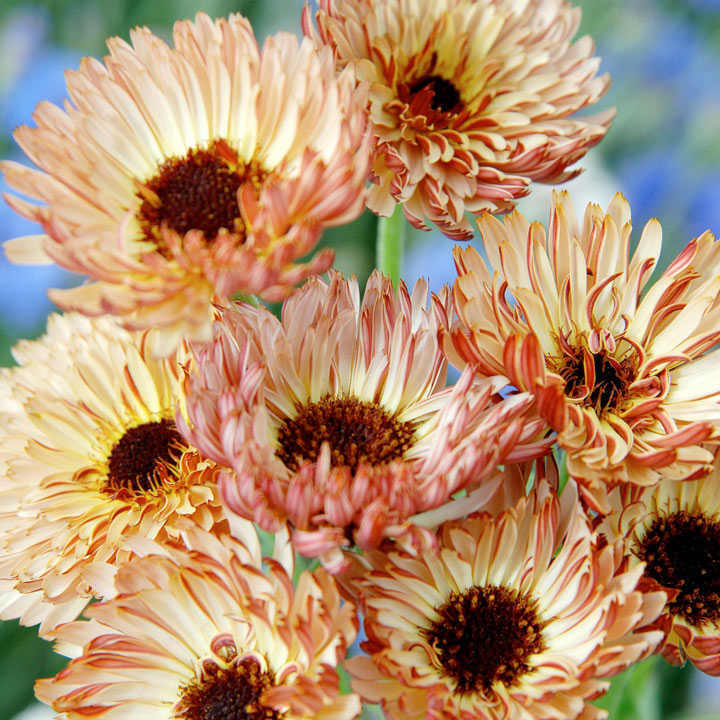 A real stand out flower for the garden and especially cut for the house.” Sow direct outside where the plants are to flower, March-May for June-September flowering or August-September for May-July the following year. Height 60cm (2’).